PARIS: While real estate in much of the world's developed countries is struggling, the sale or long-term rental of residential parking spaces is generally doing just fine. Inset Photo: In Paris, the 15-square-meter parking space on the left is for sale for 20,000 euros; the empty one on the right is listed at 25,000 euros. "New properties constructed in central city areas can come with limited parking spaces - there is, therefore, plenty of demand," said Thomas Postilio, vice president of Core Group Marketing in New York. For developers in New York, parking is the best use of extra space because in some areas it actually can command about the same price per square meter as living space, which costs much more to develop. 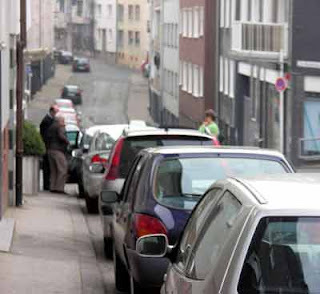 With the boom in development during the past few years, parking spaces in the city have often been destroyed in the construction process, Postilio added. "Parking spaces are now an endangered species," and waiting lists for are growing. 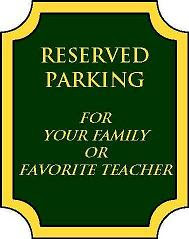 Postilio said he had parking spaces in New York on the market for $275,000, a 22 percent increase in last year's prices. That's about $12,900 per square meter, or $1,205 per square foot. 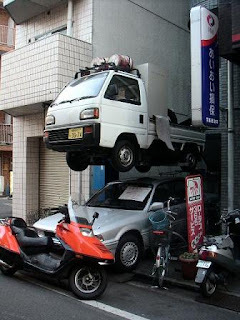 Inset Photo: Maximizing Space - Vertical parking in Tokyo, Japan. In New York, the average price for an apartment was $13,600 per square meter in the second quarter of 2008, according to data from the brokerage company Prudential Douglas Elliman. Natalie Kammer, who bought a parking space in her building in Manhattan for $150,000 last year now says the value of her space has doubled to nearly $300,000. "I thought my husband would divorce me when I told him how much it was," she said. "I think it was a good investment though. In New York the convenience of having a space is worth the premium that I paid. Other people clearly still feel the same." She says that now there is a waiting list for available spaces in the building, with five or six people on it. "Owning a parking space in New York city is like owning an oil well," said Robert Hoffmann, president of the New York State Parking Association, an organization for those in the parking industry. "Many homeowners look to sell their parking spaces to make a return on their property." Some buyers in the world's capital cities, where parking is limited, do not even own cars - but grab the spaces as investments, renting them out to produce additional income. 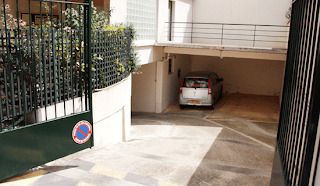 In Paris, one garage owner in the 17th arrondissement, who said he did not want to be identified for personal reasons, invested €30,000, or nearly $43,000, in an enclosed parking space earlier this year. It took him less than 48 hours to find a suitable tenant to rent the 10-meter-square, or 108-square-foot, area, which he said required no maintenance. The rental fee will allow him to make a 7.5 percent annual return on his investment, he said. In Paris, the average purchase price of garage space in the 15th arrondissement, an area of the French capital with significant levels of construction and renovation, is €15,000, according to Century 21, the international real estate agency. But a company spokesman said that some parking spaces in commercialized areas of the French capital can soar to as much as €40,000 for a 10-square-meter space. Prices are similar in parts of London. According to Benham and Reeves Residential Lettings, the cost of renting a garage space in the affluent Hampstead area is approximately £150 per week, or $270. That adds up to £7,800 a year, a rate which has been stable over the past three years. Brokers and sellers of garages in urban centers worldwide are confident that prices will avoid the same kind of volatility that has hit the housing market, because finding parking has become extremely difficult and the pitfalls of parking on the street are numerous. In the Westminster area of London, which has a residential population of 230,000, the local authorities clamped the wheels of 15,416 cars in the financial year of 2007-2008. More than 807,960 parking tickets were distributed in the same period, according to data from the City of Westminster council. Fines associated with such tickets vary, but generally start at £100 to £50. Hammed Hussain, the owner of LondonGarages, who acts as an agent for the rental or purchase of individual parking spaces, said that in an affluent area of town like Kensington, where the need for parking is great, spaces can sell for £70,000. Despite the cost, he said, such spaces are sold quickly whenever they become available. But spaces in areas on the city's periphery have not kept pace since the economic downturn began late last year. There, he said, prices for spaces have dropped by 15 to 20 percent, although these areas tend to be more middle class and residential so often there is less demand than in wealthier and more commercial neighborhoods. Those involved in the parking business in Paris and London note the prices and rental fees of parking spaces have not been affected much, if at all, by efforts to reduce the number of cars in central areas.